I was tidying up my desk this morning and found this brayered landscape hiding amongst all my papers so I thought I would post it today. I took the photo with my iPad. 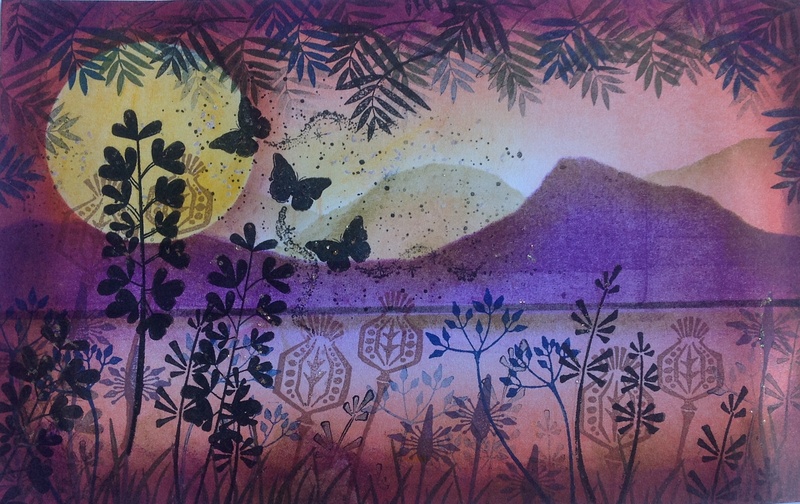 I used Adirondack dye ink for my background colours and Versafine ink to print the foliage and butterflies over the top. 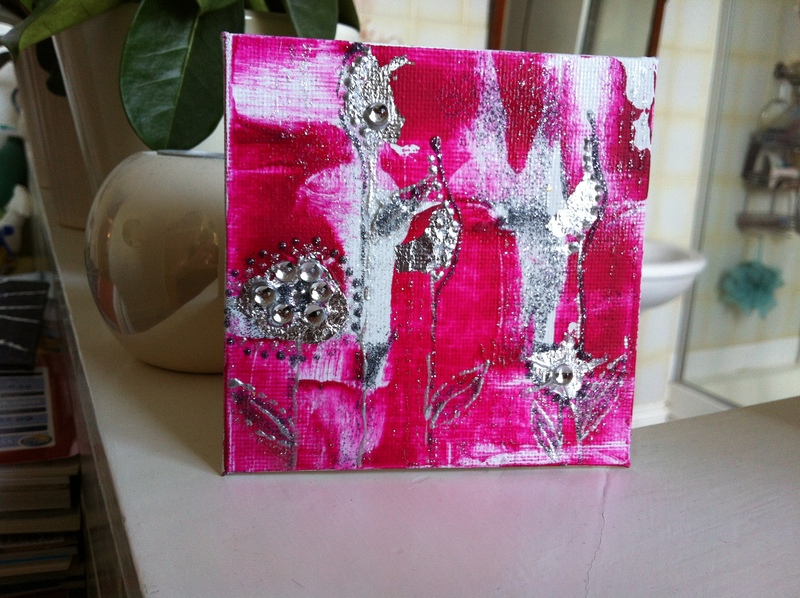 I finished off with a Gellyroll glaze pen and also a glue pen and added some glitter to catch the light. I always get a thrill when I create a picture on what was once a piece of plain white card. Today I will be at Abakhan Stores at Mostyn in North Wales, please click this link to go to their website. I will be demonstrating the Pebeo Fantasy range of paints from 10 am – 4 pm. 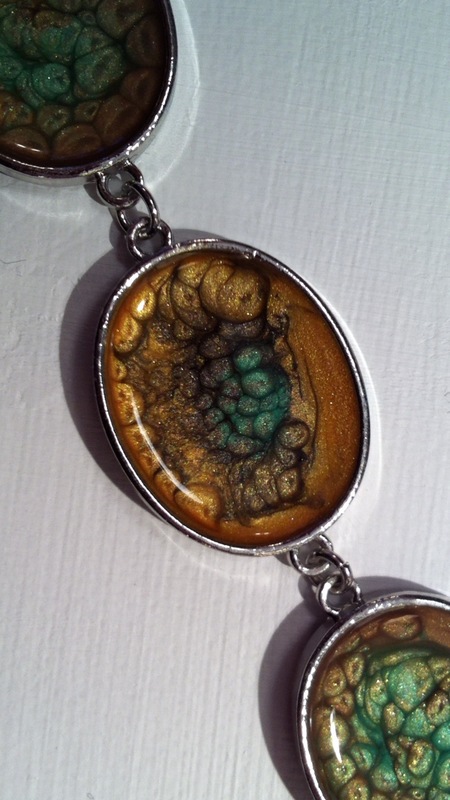 The photograph above is of a 5 link bracelet into which I have placed several different colours of Pebeo Fantasy Prisme , the swirly pebbled effect develops after a little while to give this lovely finish. If you happen to be in the area why not pop along to see me demo I would love to meet you. Have a great weekend. 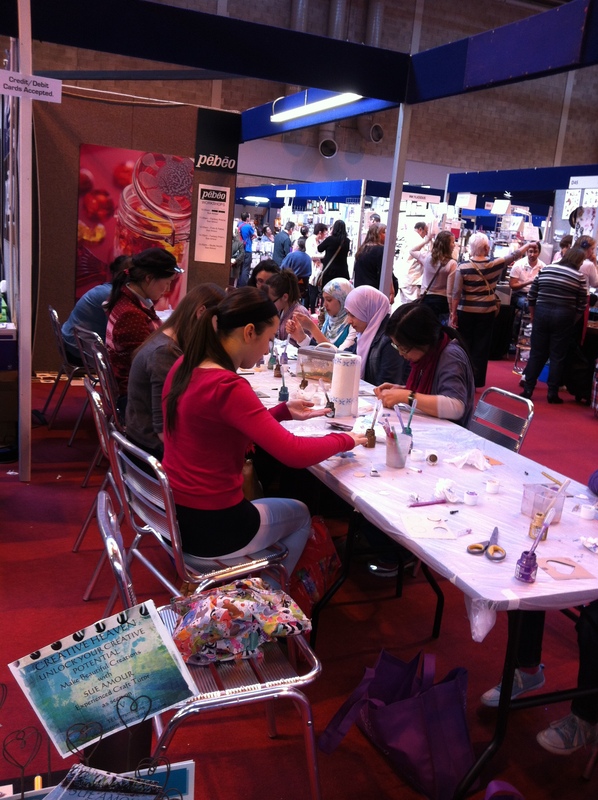 This is a shot of one of the 20 workshops that I taught over the last four days at the Hobbycrafts Show at the NEC . Everyone had a fantastic time and really enjoyed getting to know about Pebeo products. John Wright from Pebeo UK provided all the wonderful materials for free and the stand we were working on was hosted by Mark Tennant and his son Johnny from the Art Shop Skipton. We met hundreds of lovely people who were all very enthusiastic about the new Fantasy paints and I thoroughly enjoyed teaching everyone how to use them. The best bit is, we get to do it all over again at Art Materials Live in November. After I’ve had a long lie down in a darkened room for a couple of days I intend to put step by step project instructions on Creative Heaven for anyone who attended and those who didn’t. Hi everyone. This week I will be teaching 5 FREE workshops a day at NEC (National Exhibition Centre) Birmingham for Pebeo UK. 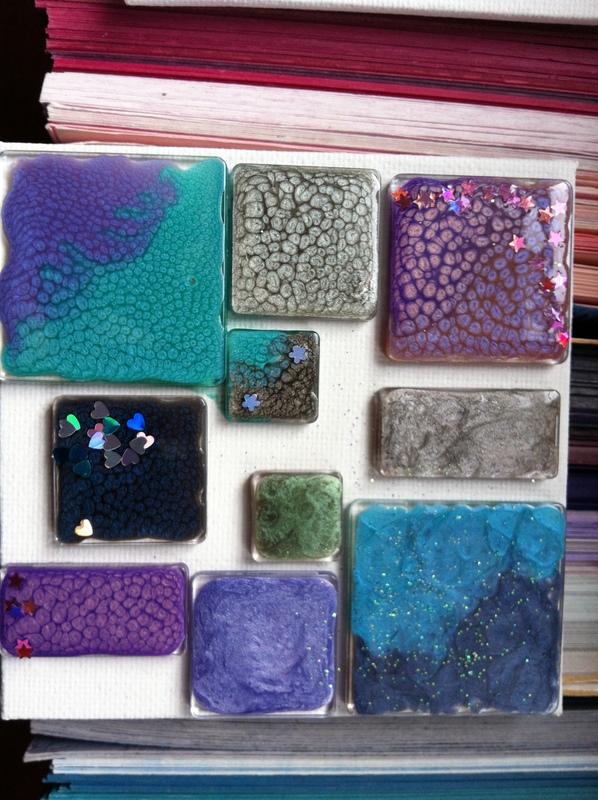 I’m busy making samples at the moment and here are a few pictures to show you how I’m doing. The lovely Catherine was my assistant this morning and painted these acrylic fragments for me. We added a few star, hearts and some glitter as well. 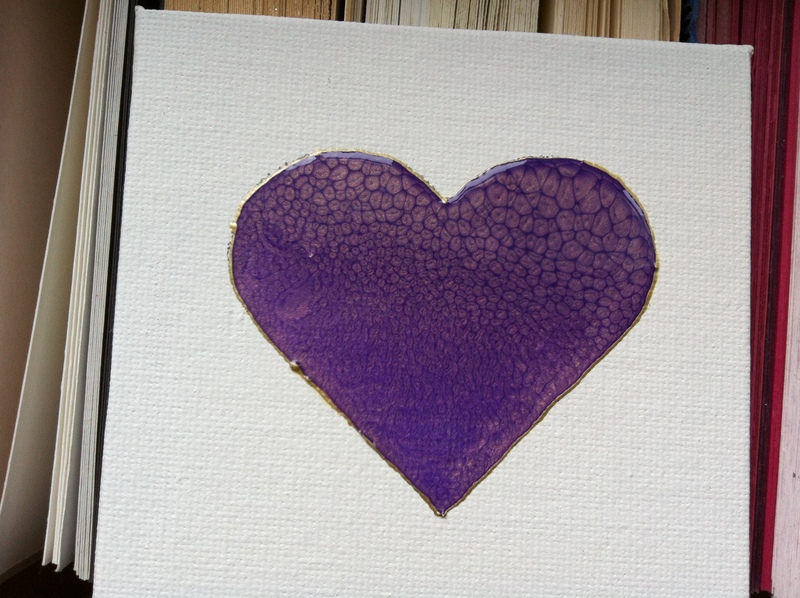 I outlined a heart shape with Pebeo Cerne Relief and then filled the inside with Pebeo Fantasy Prisme. 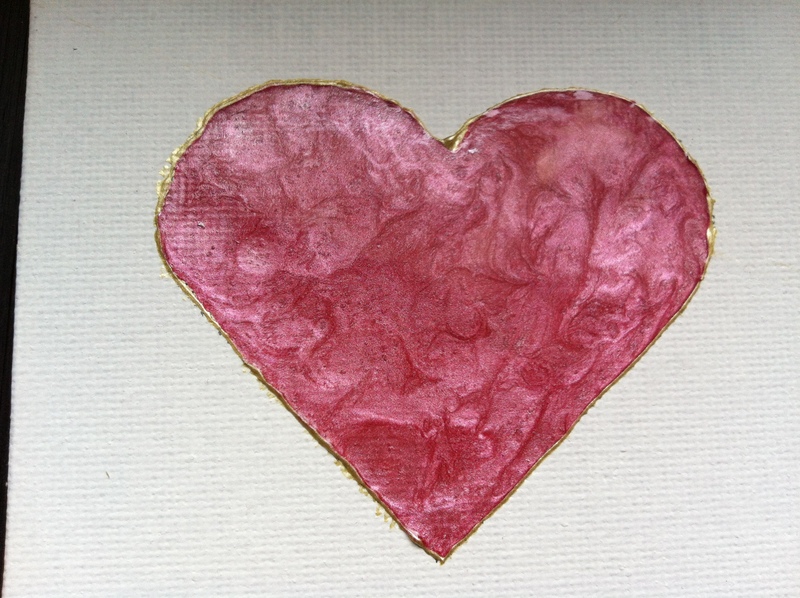 I drew my outline with Pebeo Cerne Relief and filled the heart with Pebeo Prisme in two colours. I hadn’t made too good a job and it leaked out a bit so I went around it again to contain the leak!! 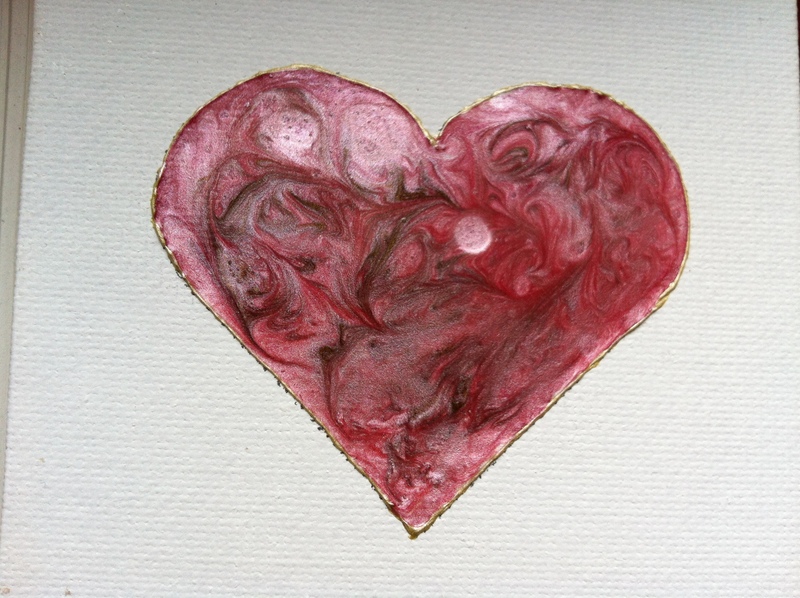 Catherine outlined the heart with Pebeo Cerne Relief and filed it with Pebeo Moon. 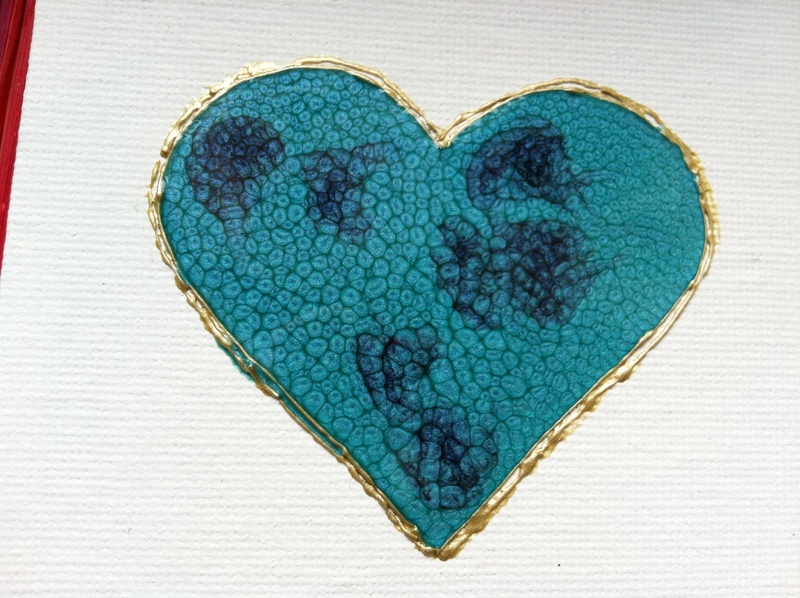 Catherine outlined this heart with Pebeo Cerne Relief and filled it with 2 colours of Pebeo Fantasy Moon. 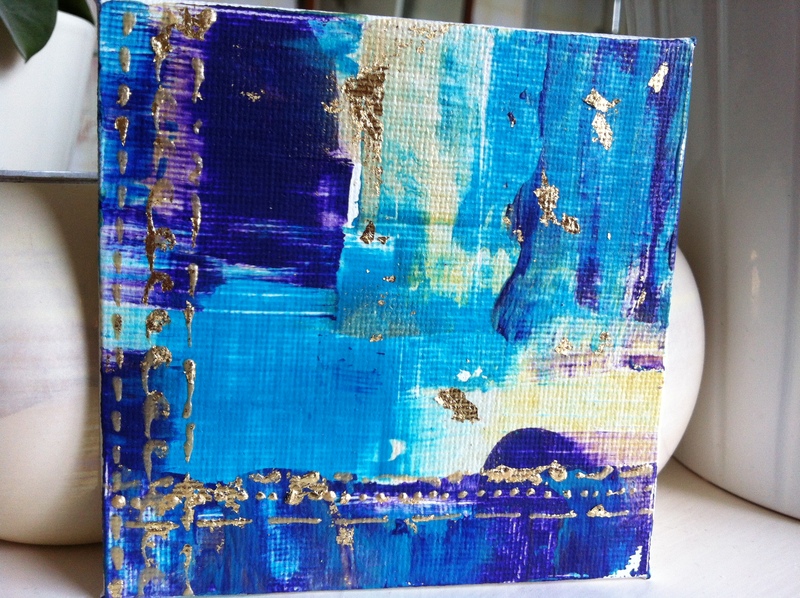 For this little canvas board I scraped the Pebeo Studio Acrylic paint colours across the board with a palette knife, added Pebeo Deco Touch and finished it off with Gold Leaves. 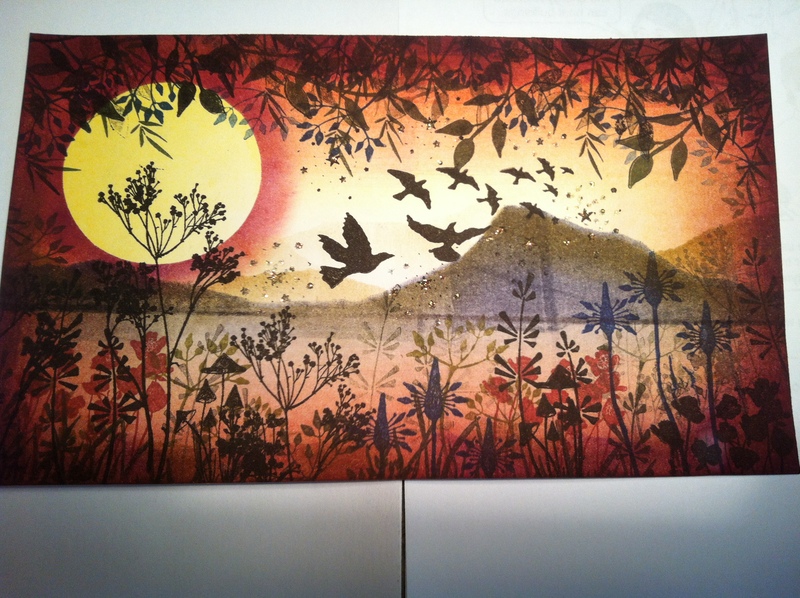 Another little sample using Pebeo Studio Acrylic, Pebeo Deco Touch and some gold and silver leaves. I love this little sample. I tried to make it look like a fantasy garden. I used Pebeo Studio Acrylic, Pebeo Deco Touch and silver leaves. 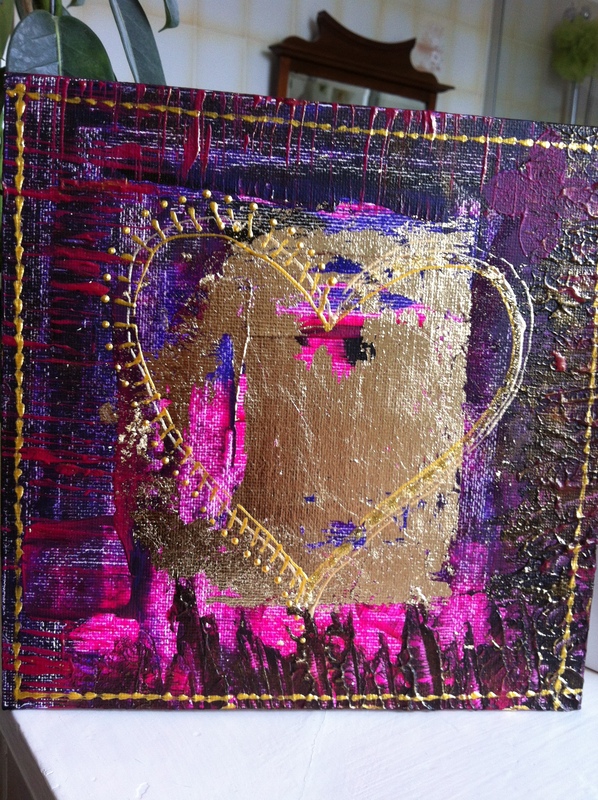 I used Pebeo Studio Acrylic with Pebeo Deco Touch and Gold Leaves. 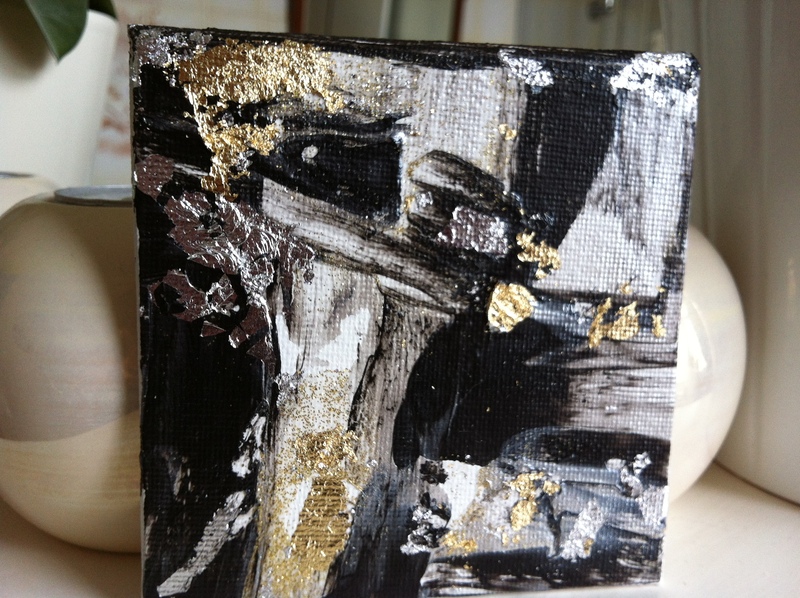 I used a palette knife to add some texture and added gold leaves to finish. I rubbed in the Touch with my finger around the edges to highlight the texture. The gold frame was created by applying dots of Touch and then I used a cocktail stick to drag the paint. I had fun with this sample. I cut out some flowers with Funky Foam and stuck them to cardboard. 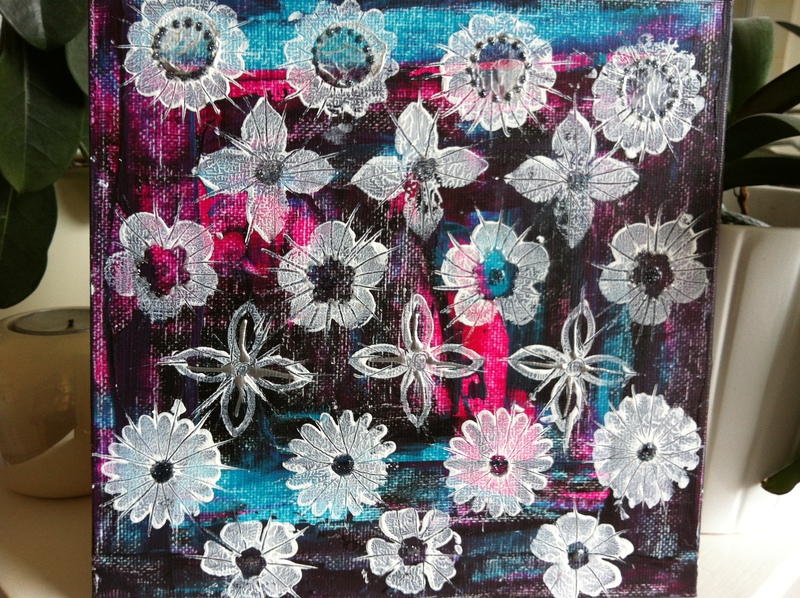 I then printed these flowers with Gesso and scored them with a cocktail stick. 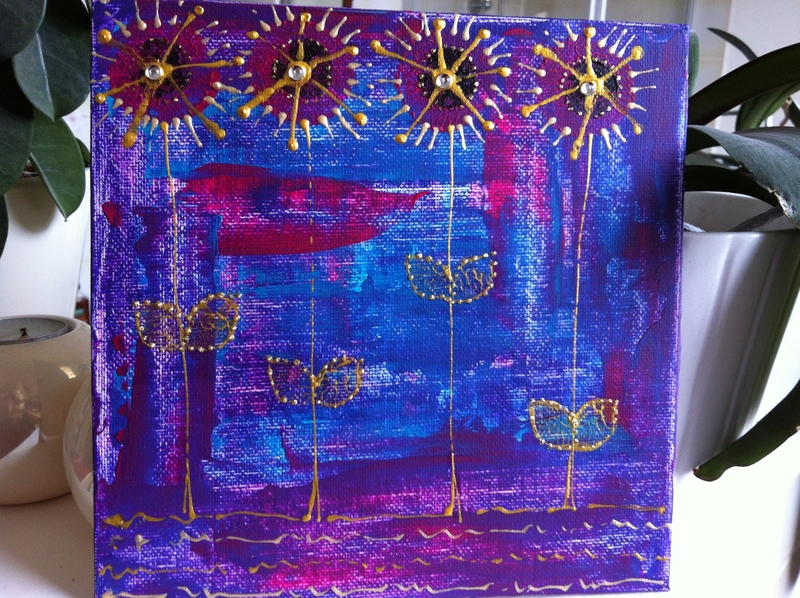 I added Pebeo Touch Deco paint to add some interest to the flowers. These flowers were printed with my homemade foam stamps and Pebeo Studio Acrylic and Pebeo Deco Touch. I also added some cabachons for a bit of glitz. I made the leaves by cutting a flower in half. Well I haven’t a lot of spare time at the moment. This has taken all afternoon to load these shots but I thought you would all like to see what I am up to. If you can get to the NEC this week come and say HI and stop to play at one of the FREE workshops, the show is from Thursday 22nd – Sunday 25th. Hope to see you there. This brayered background and rubber stamped picture is one of my favourite techniques at the moment. My students are intrigued to turn a piece of blank paper into a delightful landscape which has depth and a magical quality all it’s own. Each one is different and a little work of art. I learnt the technique from a Lavinia Stamps DVD by Tracey Dutton. She has the loveliest stamps and great products. I used Adirondack Dye Inks for the background and Versafine Ink for the stamping as it gives the clearest, cleanest print. 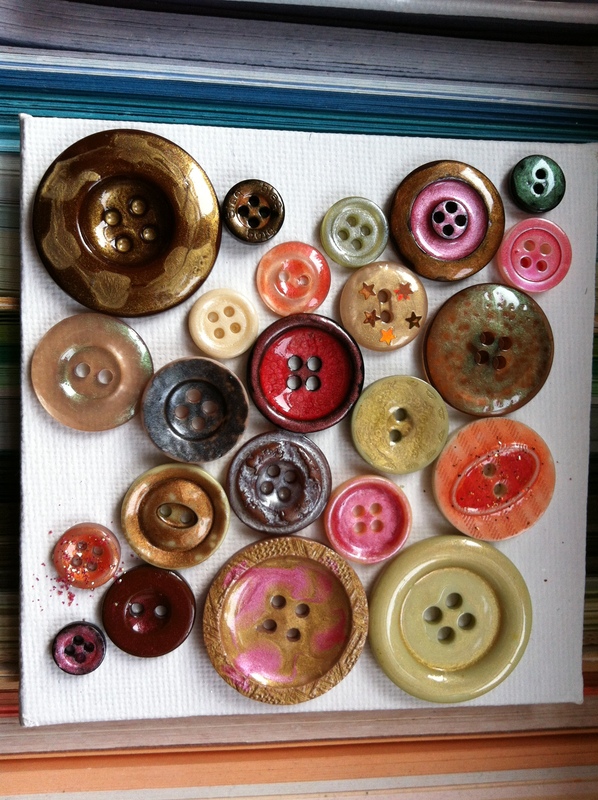 Check out my Creative Heaven blog where the lovely Lesley made a calendar earlier this year. I hope you feel as if you are peering through the undergrowth at the scene beyond. 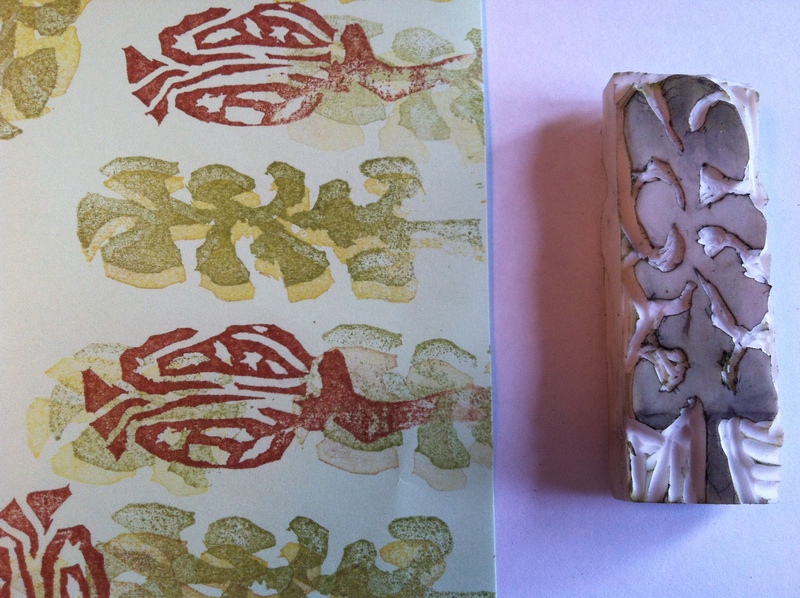 All you need….. is an eraser and a set of lino tools and you too can carve your own stamps! No your eyes haven’t gone blurry I over printed in two colours to get this look. The good thing about erasers is that they have more than one side, so this one has a leafy thingy on one side and a seed head on the reverse. I would love to do some more but I can’t for the life of me remember where I put the others!